Reality By Robin: Body Piercer not in or by appointment only? Reality Check By Robin: Body Piercer not in or by appointment only? Reality Check by Robin: If a tattoo shop says their body piercer is not in, or they tell you that you have to make an appointment to be pierced - it means they either do not actually have a full-time body piercer that works in their shop, OR they don't take body piercing seriously enough to have one. Hottie Body does! We always have a female master body piercer available because that is what we do. When it comes to getting pierced, don't just let ANYBODY do it - trust only a master body piercer, someone who ONLY does piercing to do the job. That way, you KNOW they are serious about piercing and not just doing it for the money (when they don't have tattoos to do). 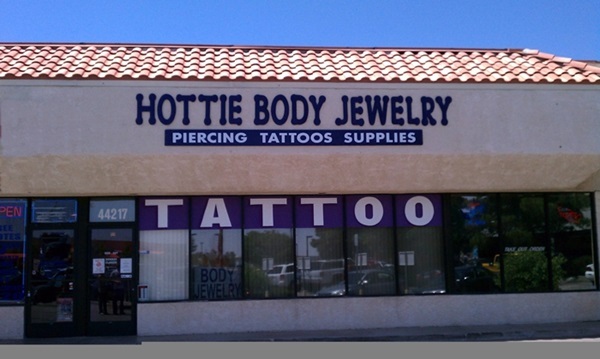 Don't mess with less than the best when it comes to body piercing... Hottie Body is RATED #1 in the A.V. since 2009 and we ALWAYS treat you like family!